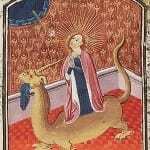 She’s the French form of the venerable Mary, a middle name for many, but a given name to relatively few. Thanks to Shannon for suggesting Marie as our Baby Name of the Day. If you want a name with a long history of use, one that works in nearly any language, it is hard to imagine a better choice than one of the Mary- names. The Biblical Miriam or Mariam became Maria in Latin, and Marie evolved from Maria. Even though we think of Mary as the original, she’s actually the English version of the name – and thus slightly younger than some forms of the name. Mary is the Virgin Mother, but Maria? She tempts us to break into song. “I just met a girl named Maria …” and feels less pious, more romantic, a distinctly different choice. Ditto Marie. From queens to saints to a scientist and an animated kitten, Marie feels like a separate name, right on trend with her français style. A twelfth century French-born poet, who lived in England and wrote as Marie de France. The ill-fated eighteenth century queen of France, Marie Antoinette. Nineteenth century Swedish-Italian ballerina Marie Taglioni. Legendary voodoo priestess Marie Laveau. 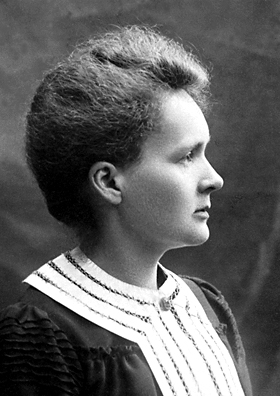 The first person to win Nobel Prizes in chemistry and physics, a scientific pioneer who just happened to be a woman, Marie Curie was actually born Maria, in Poland. Squeaky clean musical sensation Marie Osmond, actually born Olive Marie, and known for her 1970s variety television show co-hosted with brother Donny. There are more royal and aristocratic Maries than I can count, plus there’s Irving Berlin’s charming song “Marie,” covered by plenty of recording artists. (I’m partial to The Ink Spots’ rendition.) And, of course, in childhood your little Marie would doubtless like to share her name with an animated Disney kitten, the bossy middle sister of Toulouse and Berlioz in the 1970 animated classic The Aristocats. Mary ranked #1 from 1880 through 1961, charting in the Top Ten through 1971, before falling to #109 in 2010. Maria is actually the most popular today, appearing in the Top 100 every year since the 1940s. But today she’s falling, too, to just #86 in 2010. Marie was always an also-ran to Mary, though she appeared in the Top Ten from 1895 through 1905, and the Top 100 through 1957. Today she’s the least popular of the trio, charting at a frosty #575 in 2010. You’re far more likely to meet a girl called Mariah, Mariana, or even Miriam today. And yet that’s her strength. She’s as enduring as Charlotte or Elizabeth, as familiar as Grace or Claire, as French as Gabrielle or Vivienne. She’s clearly feminine, but completely frills-free. Like Rose, she’s an enduring classic that makes for a complete surprise in the first spot. I am pregnant with a Marie a we speak. She’s due on Christmas day, which I think is a very fitting day to have a Marie….that is if she actually comes on her due date 🙂 The full names we’re tossing around are Marie Millicent Louise and Marie Beatrice Louise. LOVE the combinations you’re considering. Funny how such a classic name can be so unexpected! I have a very sweet and beautiful four year old Marie. She is named for my much loved grandmother, whose real name was Mary, but everyone called her Marie. My Marie’s middle name is Camille. Her eyes look just like those of Marie from the Aristocats. In fact, one Halloween she dressed up as “Marie cat” and carried her stuffed toy cat with her trick-or-treating. Before she was born, I couldn’t really picture a little girl Marie. Now I can’t imaging her as anything else. She is girly, but can keep up with her older brothers climbing trees and playing in the creek. She is a lot like my grandmother. I love to tell her about the great-grandmother for whom she was named. Oh that’s LOVELY! Marie Camille is gorgeous and I teared up reading your story. I have a beloved grandmother Mary too (Maria in the birth certificate but always called Mary) who died last year and now I’m starting to wonder if I might use it as a middle name for my future daughter. An old friend mine has daughters named Grace and Marie, she’s the only Marie I know who is less than 40. We have a Maria. Honestly, I hadn’t really considered one of the Mary names… But when we adopted her and her First-Mom told us the story behind her (originally middle) name, I fell in love with Maria. It doesn’t hurt that my mom is named Mary Ann and my MIL’s middle name is Marie. I’m a geek, so I’ll mention that Anna Paquin’s character in the X-men films is named Marie (Rogue.) In the comics she’s named Anna Marie. I know a 20-something Marie! She only answers to Marie – not Marie Anne, not Marie Charlotte, not Marie Elizabeth, etc. Her name has always stood out to me since she’s the only Marie, of ANY age, that I’ve ever met. It’s also a great name to yell across a field: “MARIEEEEEE!” Another notable Marie is Marie Colvin, the American journalist who was killed last February in Syria. 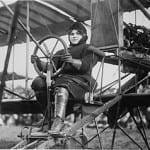 She was beyond brave and would make an awe-inspiring namesake. I’m a French sixteen-year-old Marie, and it was really a lovely surprise to find that my name was today’s NotD. Like many others, I have a love-to-hate relationship with my name. It was the #1 name for the XXth century overall in France, so it feels very ubiquitous, which annoys me to no end – although I’d choose a plain name over an ugly name any day. However, the simple ‘Marie’ version declined noticeably after WWII (whereas the Marie-something names were everywhere), meaning that there are very few thirty-to-sixty women sharing my name, which spares me the ‘Oh, just like my Mum’ reaction my sister Anne is so familiar with (knowing that in France, since we aren’t used to naming babies after older family members, bearing an out-of-style name can be truly excruciating). Moreover, my name is actually part of a trend since there was a Marie revival (to a lesser extent) during the 90’s, with the name having a rather classic, upper-class, BCBG feel (as opposed to before 1950, when Marie was not particularly seen as up-market). Today it’s very common to meet a ten-to-twenty-year-old Marie de Something in France, while lower/middle-class girls are more likely to be named Marine. However it was never perceived as pompous or snobby, but more as oh-so-simple-and-classic, which I’m very grateful for. I’d say it’s the French equivalent of Alice or Sophie. When I’m introduced to English-speaking people, though, I almost always tell them to call me Mary. It’s plainer, but it’s also more classic than Marie which feels a bit dated. And most of all, the French pronunciation of Marie is way more similar to Mary than to the English Marie (it’s Ma-ree, as in stack, and not Muh-ree). Thanks for the interesting insight regarding the use of Marie in France in the past century! Fascinating, Hermia – thank you so much! I actually have a 20-something cousin called Marie, and now that you describe it as similar to Alice and Sophie, I think that’s exactly it – there’s nothing flashy about Marie, but she’s not plain, either. Interesting that there is less of a tradition of naming children after older relatives. Is that true for boys and girls? Very, very fascinating and well-articulated. However, I’d say that prior to the widespread use of social networking sites such as facebook — where people routinely list their entire given name and sometimes both their married and maiden surnames — most Anglophones didn’t actually know the middle names of a majority of their aquaintances. Of course, in school there are certain settings where an entire name might be announced, but even that is dependent on the region or school you’re attending. Then there are the name nerds such as myself who eagerly sought out the midle names of friends and lamented those who went without a name bridging their first and last (quite a common occurence in India in the past). I really like the idea of use Marie in a similar fashion to the French, i.e. Marie Sophie, Marie Poppy etc. My older sister has the middle name Marie and I fear that for me it is all middle name. In the tv show Medium the youngest daughter is named Marie to go with sisters Ariel and Bridget. My cousin named her second daughter Meredith to honor a Mary in the family, and hr his post reminds me how lovely the variants of Mary are, especially Marie. I like it so much better! I know 3 Maries – 2 born in the 1930s and 1 born in the 1960s. I like it better than Mary. L’s unofficial middle name is Maria, after her great grandmother. A’s unofficial middle name is Lynn, like mine and after my mother. Great post! I just love love Marie for the reasons you mentioned. She does seem ripe for revival amongst Grace, Charlotte and the like. She’s so familiar because of her frequent use as a middle, but I think her use as a first would be downright unusual these days. My problem is that I can’t decide between just Marie or Rosemarie, or Marie Rose……? My SIL’s mother is a Marie. She reversed her first and middle for her daughter, so my SIL has the semi-ubiquitous Marie-in-the-middle. Continuing the tradition, sort-of, my SIL have her two names as middles for her daughters, so my older niece’s middle is also Marie. Admittedly, other than my SIL’s mom I have a hard time thinking of a Marie in the first spot. It does give the name a bit of a mumsy vibe for me. That said, Marie is nice enough. But I prefer plain-ol’ Mary or, even better, Miriam (which has nn potential – a major plus in my book – Mimi or Miri especially is a cute nn to boot). I would also love to meet a little Marie! I like it best in compound names like Annemarie, Rosemarie, etc. Maybe it’s because they’re used to seeing it in the middle place. I think it might be because that first syllable has something of a schwa sound. I like Marie, but I like it even better as a double name – Marie Charlotte, Marie Caroline, Marie Gabrielle, etc. As a first name it feels a wee bit short, but then again, I like longer names like Beatrice and Vivienne. We considered Marie for our new daughter, since it was my husband’s grandmother’s name, but went with Annemarie instead. I love Marie for all of the reasons you listed. We have a son named Paul, and it seemed to compliment the old fashioned simplicity of that name. It is ready for a comeback among name nerds, I can feel it, especially for those who find Agnes, Agatha, Matilda and the like to be too quirky for their families to pull off. Not everyone can be quirky, or the quirkiness is diluted. Having grown up with numerous girls wearing Marie in the middle spot I’m bored to tears of seeing Marie stringing together first and last names. I would, however, be flabbergasted to meet someone who actually goes by Marie on a daily basis. It would be a delightful surprise, but one that I don’t see myself bestowing upon anyone should we have another girl. Marie is just a wee bit too short for my personal taste. I was going to write something negative regarding the association between naming my child Marie and the character from the Aristocats when I realised that Marie’s my favourite of the bunch. It`s actually quite a positive association despite, or perhaps because of, the bossiness. Do you know anything about the current status of Marie in France? 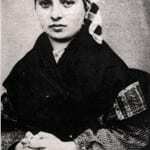 Don’t forget that Marie was also the middle, and sometimes hyphenated, name of Victor Hugo!